Fast food workers aren't the only ones protesting Thursday. So are shareholders of KFC and Taco Bell parent Yum! Brands after the company reported a huge sales drop in China. Shares of Yum (YUM) fell in early trading after the company disclosed in a regulatory filing late Wednesday that same-store sales in the company's China division plunged 13% in the quarter that ended in August. The reason? The food safety scare from earlier this summer. Shanghai Husi, a supplier to Yum, McDonald's (MCD) and others in China, is under investigation for allegedly selling meat products that were past their expiration date. Yum is a powerhouse in China. 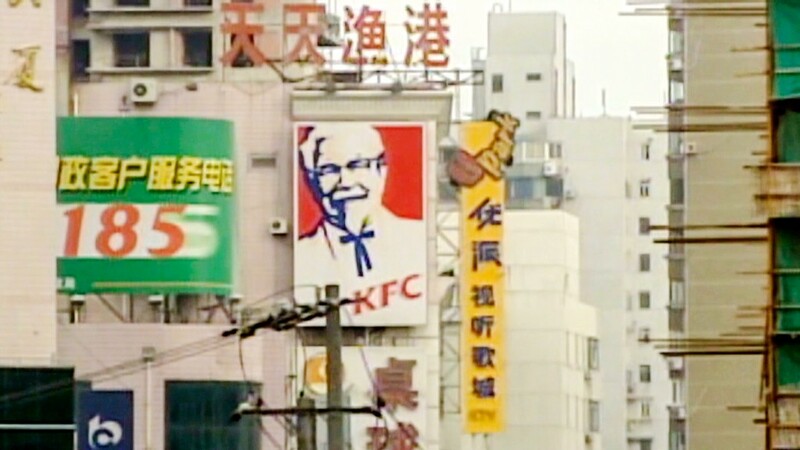 The company generated more than 40% of its overall operating profits and more than half of its total sales from its KFC and Pizza Hut restaurants in China. So it goes without saying that any slowdown in China is a major setback for the company. Although Yum immediately stopped using meat from Shanghai Husi, a subsidiary of Illinois-based OSI Group, following the revelations of the tainted meat in late July, Chinese consumers clearly are still nervous. It may be due to the fact that this is not Yum! 's first problem with food safety in China. The company had to deal with allegations from Chinese regulators about excessive levels of antibiotics and growth hormones from a KFC poultry supplier in late 2012 and early 2013. Those problems, combined with worries about a new strain of bird flu in the spring of 2013, led to a drop in China sales last year. Now the company is once again dealing with food safety woes. Shares of Yum are down more than 6% in 2014. It's doing about as poorly as rivals McDonald's and Wendy's (WEN). But Yum's stock is the equivalent of a rubber chicken compared to some upstarts in the fast food sector that it also competes against. Shares of Chipotle (CMG) are on fire. So is the stock of Jack in the Box (JACK), which owns Mexican chain Qdoba as well as its namesake burger joint. Shares of Pizza Hut rival Domino's (DPZ) and KFC competitor Popeyes Louisiana Kitchen (PLKI) are also up this year. And then there's grilled chicken chain El Pollo Loco (LOCO) -- one of the hottest IPOs of 2014. So if Yum can't turn things around soon, Wall Street and Shanghai may want to demote KFC's famous Harland Sanders from Colonel to Major or Captain.